Factory warranty until April 20,2020 or 700 hours,whichever comes first. 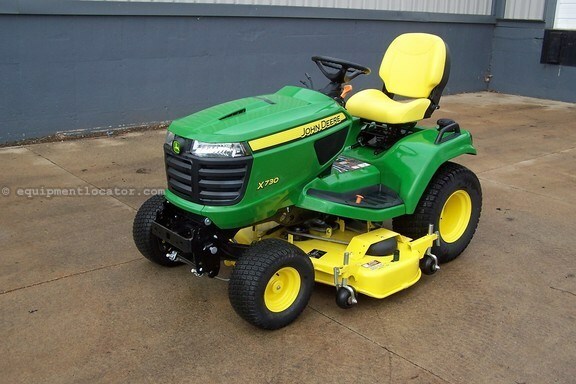 Equipped with a 54" high capacity mower deck with turf tires. Powered by a 25.5 hp Kawasaki fuel injected liquid cooled v-twin engine,hydrostatic transmission with rear differential lock,power steering,hydraulic mower deck lift,tilt steering,adjustable seat,12 volt outlet,cruise control,12 volt outlet and a cup holder. Serviced and run through shop and work performed is changed engine oil and filter,fuel filter,air filter,spark plugs,changed transmission fluid and filter and sharpened mower deck blades. Serviced and ready to go.